Our Gleanings ministry continues to flourish. 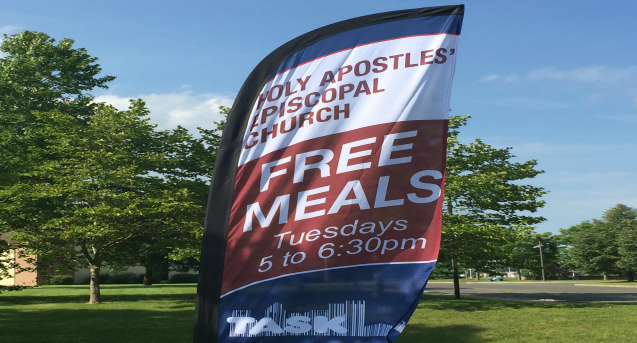 We collaborate with the Trenton Area Soup Kitchen (TASK) to provide food and fellowship each week to our guests. As a parishioner, if you’d like to help out please come on a Tuesday (by 4:30 pm if you’d like to serve, later if you’d like to help clean up) or donate some delicious desserts.